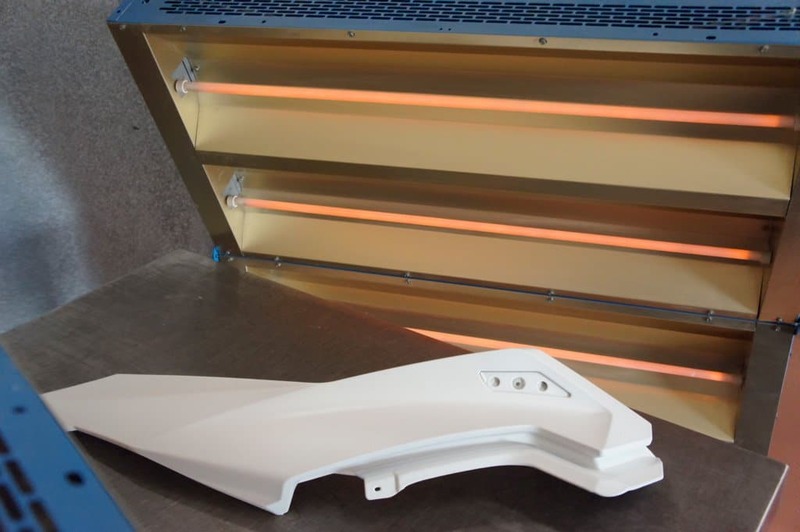 Our Infrared Curing System speeds up the paint curing process and shortens processing time. This allows for quick turnaround of projects and increases overall production capacity. This low cost system has a level-fast-reacting infrared curing lamp that will significantly reduce drying time.